Today, The Leapfrog Group, a Washington D.C.-based watchdog organization representing employers and other purchasers aiming to improve health care quality and safety, released its 2018 report on bar code medication administration (BCMA). 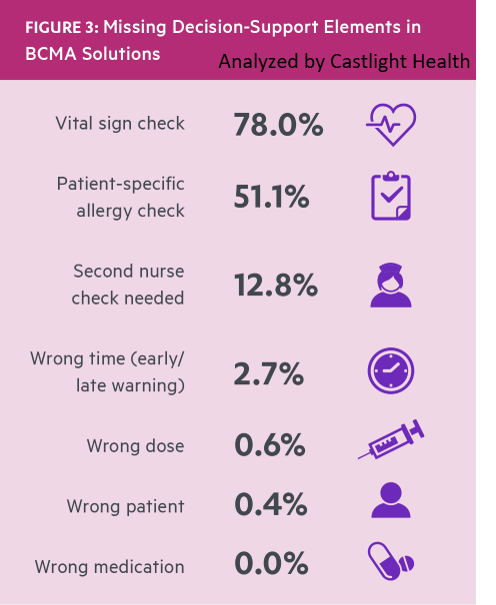 The report – based on the 2017 Leapfrog Hospital Survey and analyzed by Castlight Health – found that among the nearly 2,000 reporting hospitals, almost all (98.7 percent) have a BCMA system connected to an electronic medication administration record, yet only 34.5 percent fully meet all four requirements for deploying the technology effectively. BCMA systems are designed to prevent medication errors – the most common error made in hospitals – at the bedside. The nurse or other clinician scans a bar code on the patient’s wristband and a matching code on the medication prior to administration, verifying the right patient gets the right medication at the right time. In these cases, a decimal-point error, overlooking patient allergies, a potentially harmful drug interaction, or confusing similarly named drugs can mean the difference between life and death or serious injury. 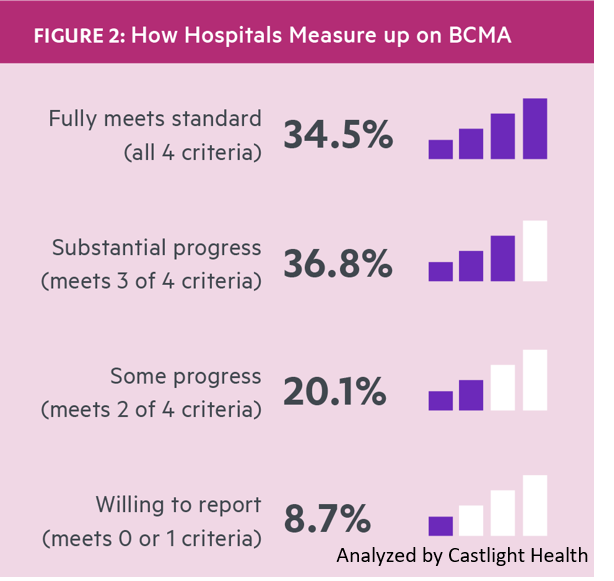 Leapfrog includes BCMA as a standard on its annual Leapfrog Hospital Survey, the first and only organization to collect and publicly report information on BCMA by hospital. Leapfrog’s standard requires hospitals to (1) Implement a BCMA system in 100 percent of the hospital’s medical/surgical, labor and delivery and intensive care units; (2) Scan both patient and medication bar codes in 95 percent of bedside medication administrations; (3) Include all seven decision-support elements identified as best practices by the Leapfrog BCMA Expert Panel; and (4) Implement all five best-practice processes and structures to prevent dangerous workarounds that impede safety of the BCMA system. According to the report, hospitals are most often not meeting the Leapfrog standard due to a failure to use BCMA scanning in at least 95 percent of bedside medication administrations, or not having all seven recommended decision-support elements in place to guard against medication errors. Conversely, nearly four out of five hospitals have all five of Leapfrog’s recommended processes and structures in place to monitor and reduce workarounds. The complete Bar Code Medication Administration report is available online, further detailing the results of the 2017 Leapfrog Hospital Survey. Additional information for patients, employers and purchasers may be found here.